Imagine your work seen by millions of people all over the world. Book-CDROM with MUSIC, ILLUSTRATIONS, POETRY and VIDEOS. 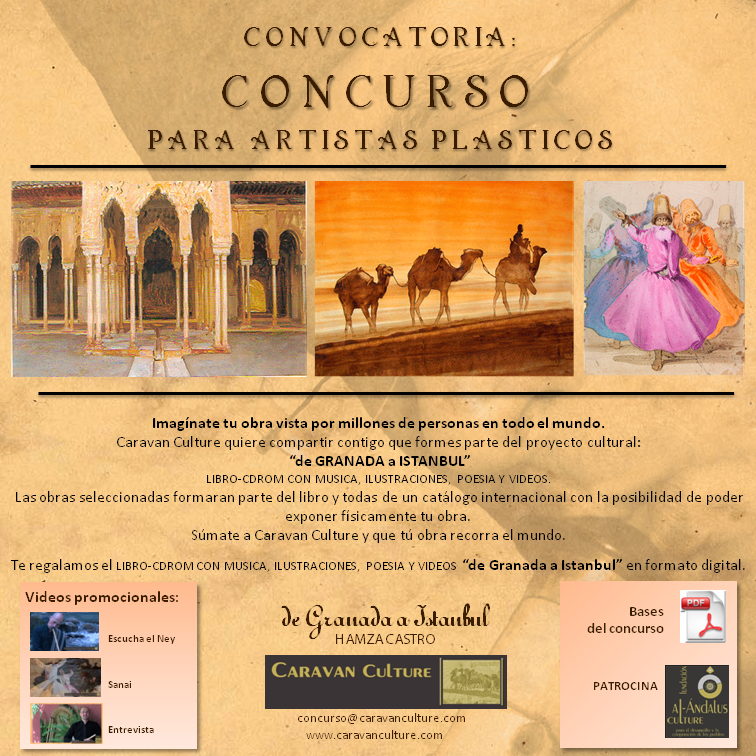 The selected works will be included in the book and all submitted works will form part in an international catalogue with the possibility of participating in an art exhibition. 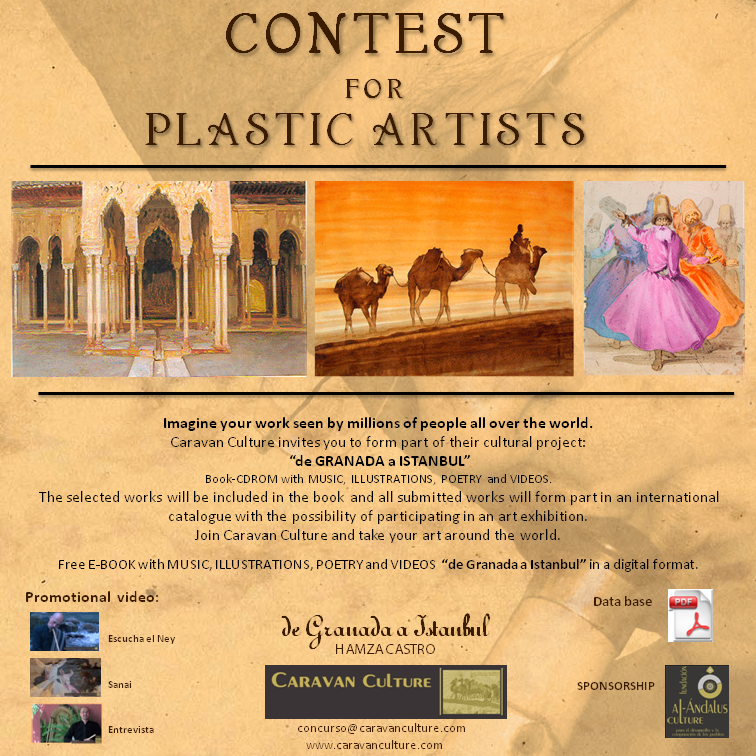 Join Caravan Culture and take your art around the world. Free E-BOOK with MUSIC, ILLUSTRATIONS, POETRY and VIDEOS “de Granada a Istanbul” in a digital format. Imagínate tu obra vista por millones de personas en todo el mundo. LIBRO-CDROM CON MUSICA, ILUSTRACIONES, POESIA Y VIDEOS. Las obras seleccionadas formaran parte del libro y todas de un catálogo internacional con la posibilidad de poder exponer físicamente tu obra. Súmate a Caravan Culture y que tú obra recorra el mundo. Te regalamos el LIBRO-CDROM CON MUSICA, ILUSTRACIONES, POESIA Y VIDEOS “de Granada a Istanbul” en formato digital.